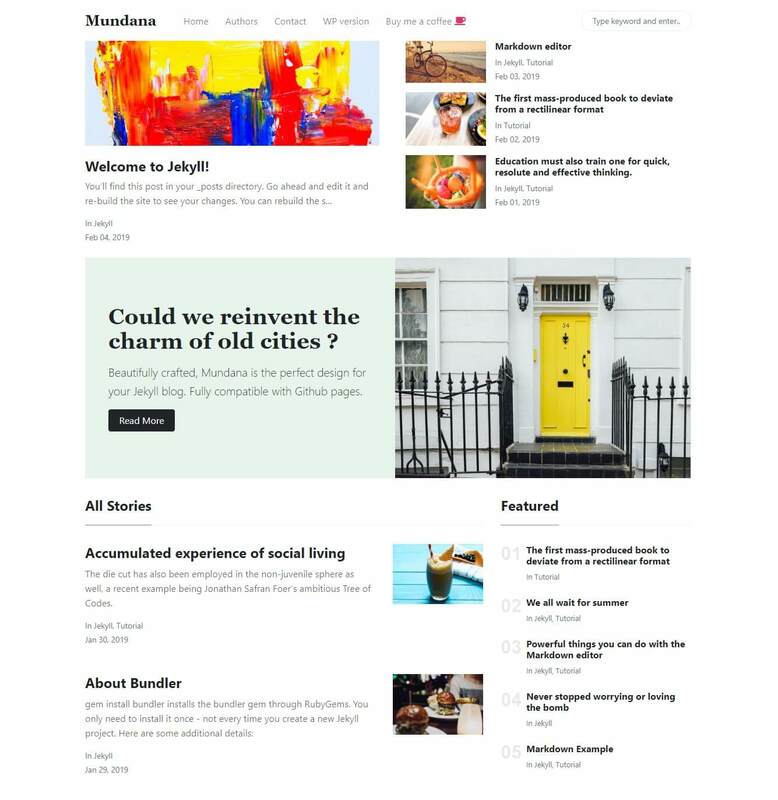 A Jekyll theme built with Bootstrap 4 suitable for content curation, portfolio, blogging, photography etc. Pintereso is a responsive Jekyll Bootstrap Theme, compatible with Bootstrap 4, free for personal and commercial use. 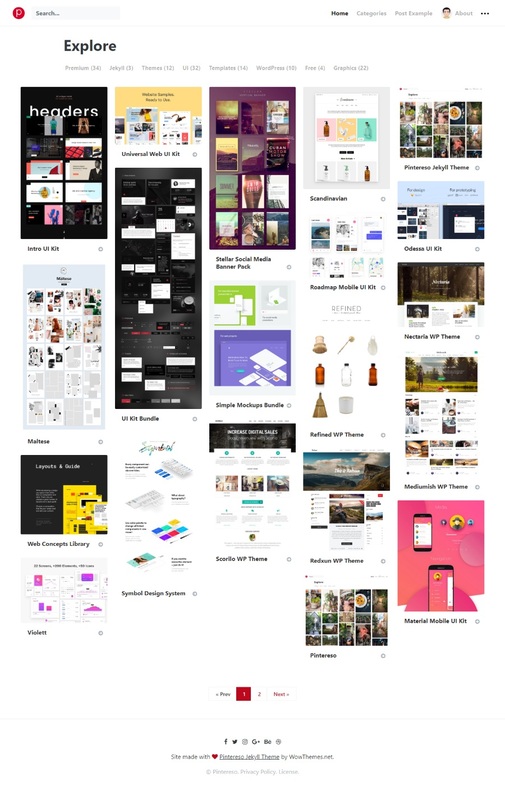 Download or Fork Pintereso for Jekyll. Start blogging! Add your .md posts in _posts. If you download the template you will notice it already has a few as an example. Adding pages. Place your .md pages in _pages. Don’t forget to set the permalink, see below.